SERVPRO of Phoenix is locally owned an operated by Jason Wolfswinkel and Nicole Baird. Together they proudly employ a crew of highly trained technicians with decades of experience specializing in cleanup and restoration services for commercial and residential properties affected by fire and water damages. Over the years, the crew has also worked on bio-hazardous cleanups, microbial remediation and asbestos abatement. Your business or home may require reconstruction work to get the property back to its pre-loss condition and SERVPRO of Phoenix is equipped to handle it. Our goal is to help lessen the interruption to your life and make it "Like it never even happened." Our technicians are highly trained in property damage restoration with IICRC-industry certifications. 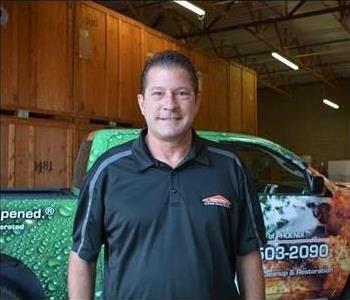 No damage is too large or small for SERVPRO of Phoenix with a nationwide system of franchises. The SERVPRO of Phoenix employees are genuine hard workers and have really come together to complete some amazing jobs in the shortest amount of time. The highly respected Mr. Brown has been with SERVPRO of Phoenix for over 39 years, Amella continues her dedication after 19 years, and Chris Butas is going on 16 years now. 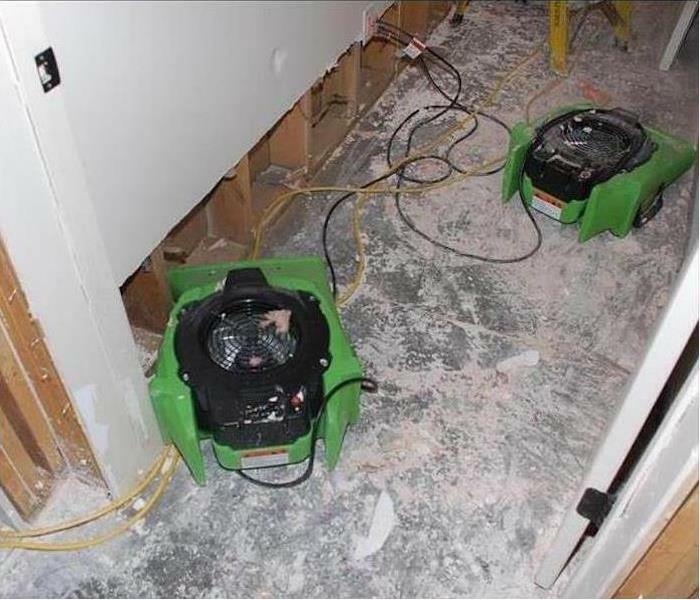 With decades of experience, ongoing training and a strong commitment to accomplishing any job put before them in record time, SERVPRO of Phoenix is the go-to guy for cleanup and restoration damages. The SERVPRO of Phoenix crew is a well-rounded group coming from all over. Helping the local community thrive is a shared passion which includes feeding the homeless, supporting local artists and participating in local events with a big passion for Hot Rods.